We all have quirks. Our little habits or routines. Those personal behaviors or peculiar actions we don’t even think about. You know, knuckle cracking, naming your plants or vehicles, eating only one food at a time from your dinner plate. Recognize anyone? Not you, of course. I had a teacher who absolutely hated mechanical pencils. She could spot one a mile away. This was particularly bad for me since I did, and still do, prefer using mechanical pencils. She kept a drawerful of used, chewed up, stubby, wooden #2 pencils and would foist one on me and confiscate my blue plastic PaperMate until class was over. Me, I read anything. I mean cereal boxes, fine print, directions, labels….. I read an interesting toilet paper wrapper not too long ago. Fact: if you are not satisfied with or just need to comment on your TP, you may report to a street address, via email, or at a website. Please have the roll from the package. Of course I checked. There is an identifying number printed inside the roll. Reading maketh the man, or woman. I learned. Do you always put your left shoe on first? Sort your French fries according to size? Say “Rabbit, rabbit” when you wake up on the first of the month? Do crossword puzzles in ink? Only eat sandwiches cut on the diagonal? I know many of us writers have this little quirk: we mentally correct bad spelling, grammar, and punctuation. Written or spoken. Everywhere. We must. I’m so ticked when I spot this stuff in published works, I actually mark it. Send me some of your personal quirks and I’ll do a compilation in one of my regular blog posts. What makes your quirk unique? What’s the most unique quirk you’ve ever witnessed? 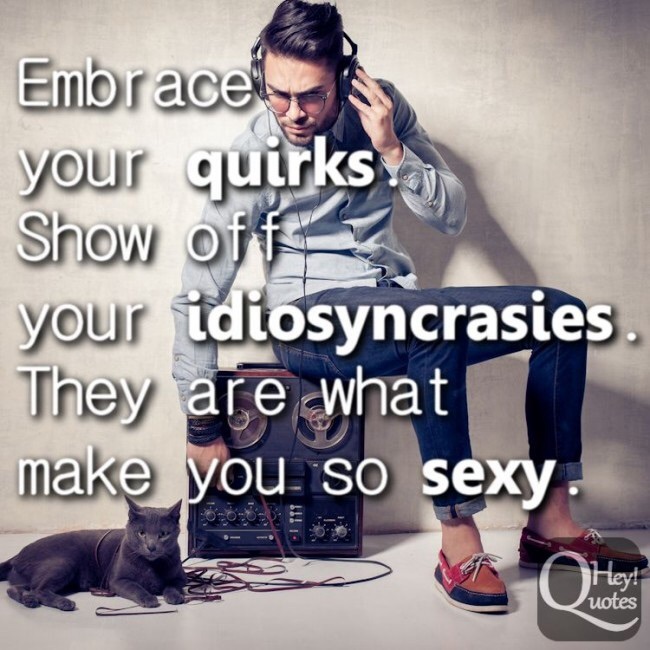 Do quirks drive you crazy? Which quirk do you love best? Whose is it? Yours or another’s? Do you recognize your own? Would you change your quirks? How do you use quirks for your characters when writing? Show me QUIRKY! 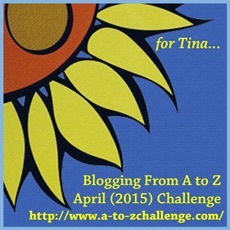 Is it quirky to do the A to Z Blog Challenge? 😏 I’ll speak for myself!